Invoice financing helps businesses improve cash flow, pays suppliers and employees, and reinvest in operations and growth earlier than they could if they had to wait until their customers paid them. This is the answer to the prayers of a lot of businesses as it can solve problems related to customers taking a long time to pay or even facing difficulties obtaining other types of business credit. And we’ve seen many of our coworking members use this as an essential way to boost their cash flow. SmartFunding and BiTS have recently partnered to help SMEs go digital by offering easier access to capital to innovate. 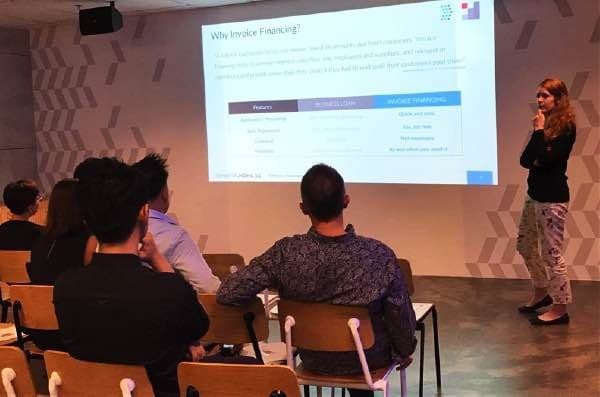 We are indeed privileged to have Sandra Ernst, CEO of SmartFunding, leading the three-hour lunch session at our other humble co-working space situated at 6 Raffles Quay. Cosy and private is what I would describe this session as attendees were able to interact and throw questions to Sandra with ease. 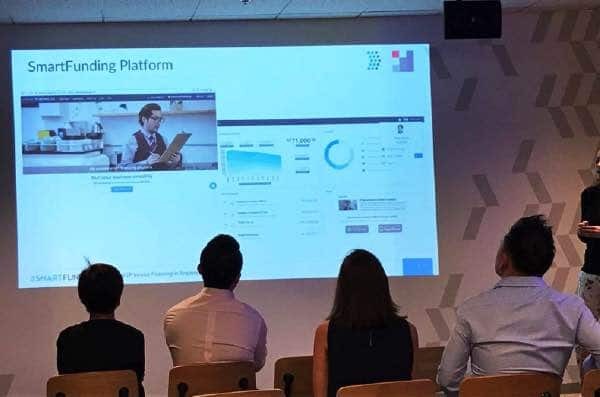 SmartFunding is a financial technology company that focuses on connecting SMEs in Singapore that want to sell unpaid invoices to improve their cash flow, with local investors who want to purchase them. On the other hand, BiTS is a global network of experts and professionals who dedicate to empower SMEs to realize their full potential by delivering the latest in open source enterprise technologies through the cloud. Attendees were seen to be listening intently to Sandra as she explained in depth about invoice financing. SmartFunding, being the fastest, flexible and transparent alternative, offers one of the best solutions such as no minimum regular commitment of invoices to finance. Asides from providing hassle free experience when one submit subsequent invoices for financing, their partnership with BiTS proves to make it a more simple and smooth experience. Holding the session at such collaborative space had attracted a couple of SMEs and startups. Thank you SmartFunding and BiTS for not only offering aid but also providing vast and detailed information on how SMEs can get solutions for their various needs and of course full support!